Mice in your garage can cause health and emotional problems. They make nests in wall insulation, chew through electrical wires and are highly unsanitary. Luckily, you can easily get rid of mice yourself. You can lay traps with taut springs to snap off their heads, or lay poison. You can also trap and release them, which is more humane and less dangerous for pets and children. You might need to use a combination of elimination tactics to get rid of these pesky varmints. If you are serious about getting rid of mice in your garage, you will need live mouse traps, mouse repellent spray, cheese or peanut butter, a dog who hates critters, or a hungry cat. You might try hot pepper sauce, laundry detergent, caulk, garden sprayers, patching compound, scrap wood, or an ultrasonic mouse repellent. Another way to get rid of mice in your garage is to declutter the space. Mice love to climb, hide and nest in dark corners, so a cluttered garage is a perfect home for a family of rapidly procreating mice. If you have food sources in your garage, seal them or move them to another location. Take inventory of the items you have in your garage. 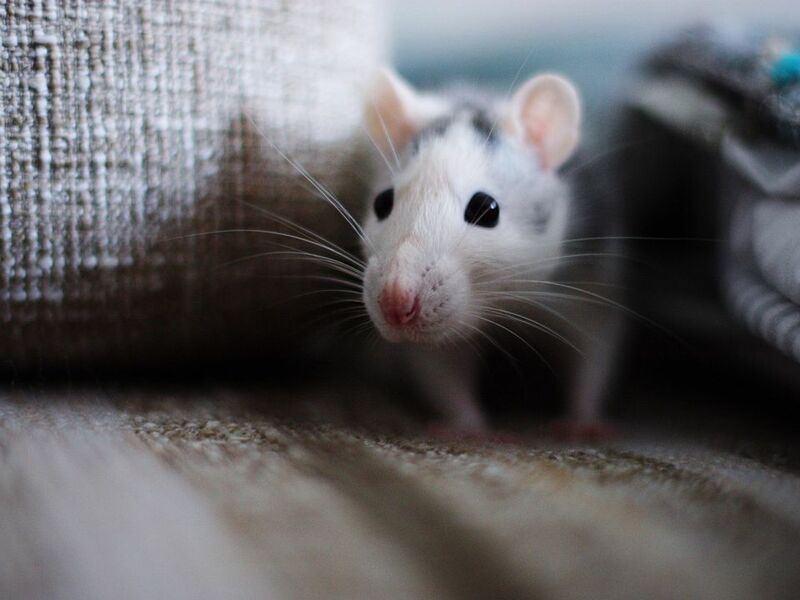 Items like fertilizer, grains, straw or large bags of dog food may not look like food for mice, but they love to contaminate, eat and carry off these types of products. Bait live mousetraps in strategic places inside the garage with pieces of cheese or a lump of peanut butter. Set the traps near a wall and keep the bait end near the suspected access point. Check your traps daily and send live mice off into fields miles from your home. Mouse repellent sprayed around the outside of the garage helps prevent new infestations. If you are leery of using mouse repellent or chemicals, you can concoct a more natural mixture that mice hate. Mix one tablespoon of hot pepper sauce (the hotter the better), and ¼ cup laundry detergent in a gallon of water. Spray it on the outside of the garage. It works just like commercial repellents and won’t harm your pets or children. If you discover holes in your garage, patching compound or wood plus caulk helps keep mice out once you have cleared them from the garage. Seal holes larger than ¼ inches in diameter. Mice can squeeze through small openings. If you want double coverage, set conventional mousetraps by placing traps under shelves, in corners, along with window casings, and in the rafters. Look for access points and place traps near these openings. Check traps on a daily basis and remove dead mice before they decompose and start to smell. For an eco-friendly solution, use ultrasonic mouse repellers inside the garage. These repellers prevent further infestations. An ultrasonic mouse repeller is inaudible to humans, but the sound it produces is very painful to mice. Mice will not enter a room where this device is humming. Rats, another class of unsanitary rodents, may also be invading your garage. They may be brown or gray, and between 5.5 and 7.5 inches long. You might discover a brown rat that is between 13 and 18 inches long with coarse brown fur. You may also have roof rats that are a bit smaller than brown rats and are grayish in color. The trapping process for rats is similar. The first step is to clean your garage and limit areas where rats and mice can hide. Once you have cleaned out your garage, you will be able to see any damage caused by rodent infestations. Reorganize your garage and keep boxes and other small items off the floor. Install wall-mounted shelves, build shelves with scrap lumber or purchase metal garage shelving to organize your space. Moving boxes off the garage floor prevent rodents from chewing through them in search of food. Place live traps or spring-type traps no more than 10 feet apart along the windowsills and floorboards of our garage. In this case, more is better. If you sprinkle toxic rat or mouse bait along the floorboards and ledges of your garage, be certain to let all members of your family know the toxic chemicals are there. Keep small children out of the garage until the chemicals have worked their magic. It is a good idea to dispose of dead rats and mice by sealing them up in plastic bags. Sealing carcasses in plastic will prevent other animals from getting to the carcasses and ingesting poisons or diseases. Declutter your garage and seal up holes after eradicating the critters. Keep food sealed or out of the garage, and put dog food, fertilizers, and grains in tightly sealed plastic containers. Cats are reliable hunters, and a cat near or in your garage helps keep mice away. Peppermint is a natural mouse repellent and is environmentally safe. Spray a solution of peppermint extract and water around the perimeter. This solution needs to be sprayed once a week and after rainstorms. Plant peppermint around the foundation of your home and garage. The smell repels rodents and perfumes your home. Be very careful if you use mouse and rat poison as your control method. Mice and rats that eat poison go somewhere else to die. If your pet or another animal eats a poisoned mouse, that animal may also become poisoned and die. One last tip: if you have a mouse and/ or rat infestations, wear a facemask when sweeping. Dust with unsanitary particles and viruses can get into your nose and throat and cause allergic reactions. Follow these tips and never worry about visits from these critters again.